Earn Rewards and Get Fit in the Streets of Philly on 9/24! Home / Biking / Cycling / Vea Fitness + Snap Kitchen + City of Philadelphia Partner Up for Philly Free Streets on 9/24! Have you ever thought about what it’d be like if a city had absolutely 0 cars on the road? Sounds 28 Days Later-ish, I know. But what if everyone was allowed to come roam around in their beautiful city, without any worries about cars? What would you do with all that open space and pavement? 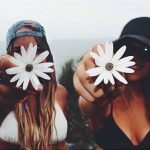 Skateboard, run, explore, bike, walk the dog, walk the cat, HiiT on the Rocky Steps? Well, what are you doing on September 24? Meet Philly Free Streets! Because the City of Philadelphia plans to close over 10 miles of its city streets, so you can get out and do whatever, wherever you want in our city, for it’s first ever Philly Free Streets event. The closed streets span from South Street all the way up to Fairmount Park and MLK Blvd. At the end, there’s a live concert and all kinds of fun activities in Sweet Briar park. 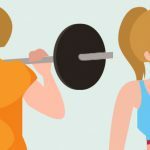 Vea Fitness is helping you find motivation to get out and exercise that day, with up to 10 Philly-centric Rewards – thanks to City of Philadelphia and Snap Kitchen, and several other awesome brands. 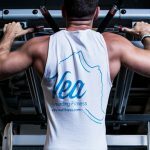 Use Vea Fitness to track your walk, run, skate, bike, hike etc. 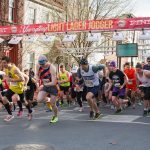 at Philly Free Streets to complete Challenges ranging from .5mi to 5mi long, and earn all kinds of fantastic rewards. 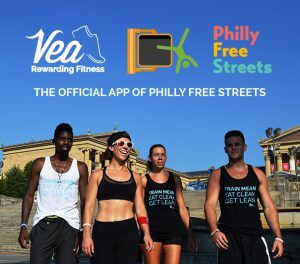 Awesome brands like Snap Kitchen – Vea Fitness’ exclusive launch partner, will offer discounts on food, as well as a free workout duffle, or a free portable cooler – just for exercising at the Philly Free Streets! Other brands offering rewards to Vea users on 9/24 include Instacart, Runner’s World, Fitness trainers, Philadelphia Runner and more. Earn rewards toward new running shoes, lunch, dinner, Marathon/race bibs, diet plans, personal training, running pouches, grocery delivery and more. There is also a Scavenger Hunt on the day of Philly Free Streets. You check in using Vea Fitness at different activities along the way to enter the City of Philadelphia’s sweepstakes and earn rewards from each brand along the way! Awesome, right?! It’s “Fitness Pokemon,” as some have labeled it. 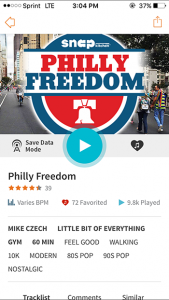 Also, thanks to our friends at RockMyRun, we now have a “Philly Free Streets” Playlist, with awesome artists – all from Philadelphia, including Taylor Swift, TLC, Majer Lazer, Matisyahu, Boyz2Men and more. It’s free, too! 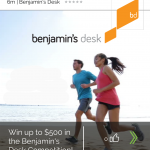 If you want to upgrade to ROCKSTAR Premium with RockMyRun, Vea Fitness does offer rewards for up to 6 months free. Just go check out your Vea Fitness Brand feed and tap RockMyRun to see all their rewards. If you’d like to read up on Philly Free Streets more, poke around their website here. Also – If you’re a Philly-local brand and want to get some free exposure at the event, shoot me an email at hello (at) veafitness dot com. Thank you all for your support. 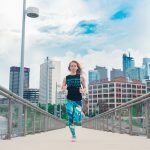 We’re super excited to get Philly active, and try something totally crazy that only a few cities have tried. Come out, meet your neighbors, get a great workout and try something crazy like Salsa dancing!